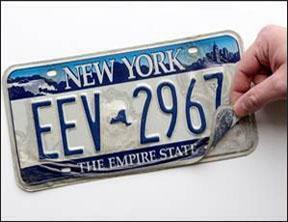 Defective New York State License Plates have become a common occurrence for many vehicle owners. Have you noticed delamination or peeling on your license plates? If you are driving around with defective plates—you’re at risk of getting ticketed. Delamination occurs on license plates when the top layer begins to peel off, thus making the plate illegible. This is happening with both the older blue and white style plates, as well as the newer yellow and black license plates. According to NYS Law, all cars are required to have a license plate on both ends of a vehicle and they must be legible at all times. This includes numbers and state identification. If your plates are not legible, you are putting yourself at risk of getting pulled over, and getting a ticket. 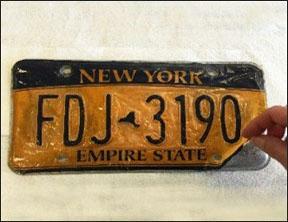 Bring your peeling plates to the NYS Department of Motor Vehicles. They will replace any peeling plates free of charge. If you’d like to keep the same license plate number, there is an additional $20.00 fee with the exchange. However, damaged, faded, cracked, or dented plates are not included in the exchange. All damaged plates, such as faded, cracked, or dented plates can be replaced for $25.00 with an additional $3.75 registration fee. If you’re looking to keep the same plate number as the damaged plates, there is an additional fee of $20.00 on top of the $28.75. Call the Custom Plates Unit Monday through Friday, 8AM-4PM for replacements. You’ll want to be prepared as they may require you to submit a photograph as proof of delamination. 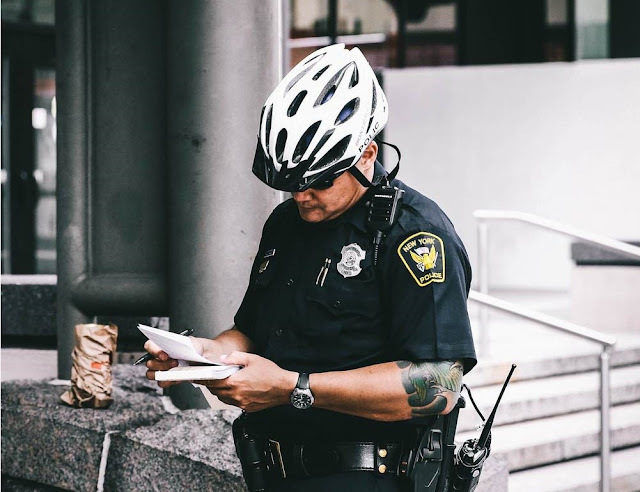 A ticket will likely cost you more than it would to easily replace your plates. For more information and answers to frequently asked questions related to damaged and defective license plates, please visit your local DMV to learn more!